But what if we had an educational system that impacted the engagement and achievement of teachers in a really positive and powerful manner? What if that impact was correlated with increased student achievement? And what if we had a system that meant lots of new learning and hard work on the front end—but was better on the back end in terms of allowing teachers to work more closely with the learners in their rooms, as opposed to simply teaching loads of content at them? What if we had a system in which teachers were happier and more empowered in their jobs? Data from the School Academic Optimism Survey (SAOS) was collected from schools in the early stages of implementing a competency-based system and then gathered again in those same schools after the system was more entrenched. In addition, we looked at SAOS results from competency-based schools and compared them to neighboring schools that were still practicing more traditional protocols. Finally, interviews were conducted with teachers operating in personalized, competency-based systems, to get an idea of their thoughts regarding what it’s like to work in the model. Based on this information, it is apparent that teachers are happier and more engaged in schools that have successfully implemented the personal, competency-based system of education. And it’s not even close! This idea of teacher engagement and happiness can be addressed conceptually in terms of academic optimism. 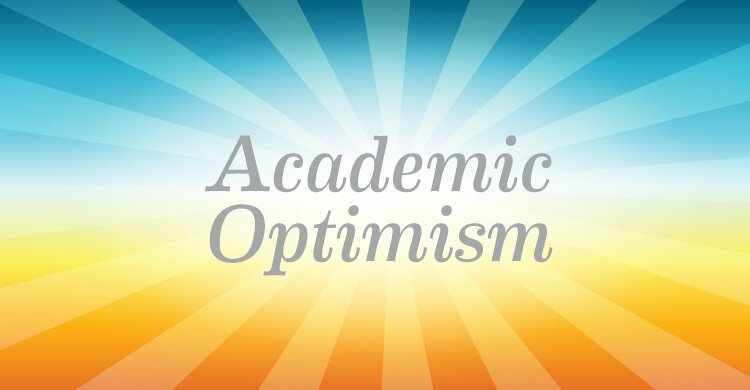 Academic optimism is an educational construct developed by Wayne Hoy, John Tarter, and Anita Woolfolk-Hoy that combines three important concepts: collective efficacy, academic emphasis, and faculty trust. Collective efficacy represents the thoughts and beliefs of a group of teachers that they, as a whole, can plan and execute instructional strategies that will have a positive impact on students. In other words, the staff truly believes they can be highly effective teachers and do great things for kids. The importance of fostering high levels of collective efficacy within an educational staff has been established by a number of researchers, including Albert Bandura (1993) and Roger Goddard (2001). Wayne Hoy and his colleagues were able to identify a positive correlation between groups of teachers with a high collective efficacy and increased levels of student achievement. Academic emphasis reflects the actions of group of teachers regarding the belief that the school in which they operate is driven by the pursuit of excellence. As a result of this belief, teachers demonstrate increased expectations by setting high, yet achievable, goals in terms of student achievement. Researchers Roger Goddard, Scott Sweetland, and Wayne Hoy High assert that high levels of academic emphasis can help create a school climate that encourages “both teachers and students to plan more, persist longer, accept responsibility for achievement, and overcome temporary setbacks” (2000, p. 698). Faculty trust represents the feelings or emotions of teachers regarding the relationship that exists among teachers, students, and parents. Trust, in this sense, involves teachers believing that students and parents want kids to be successful in school and will work hard toward that goal. It also involves students and parents valuing teacher expertise, in that they see teachers as benevolent, reliable, and open in their classroom practices. Research centered on faculty trust suggests improved student attendance (Hoy et al., 2006b) as well as increased levels of student motivation and engagement (Downey, 2008; Schenck, 2011). As a unified construct, academic optimism is closely tied to resilience and positive psychology. Essentially, it is a measure in which teachers believe they are in a situation that allows them to do a good job and positively impact the lives of their students. Academic optimism has a strong correlation with student achievement because of the way in which it shapes organizational culture. Happier, more engaged teachers equal happier, more engaged kids. We interviewed dozens of teachers for Leading the Evolution, and they consistently spoke to how adopting the personalized, competency-based model truly allows them to do their jobs better and how they feel a renewed sense of enthusiasm that inspired them to enter the profession in the first place. A number of teachers clearly articulated that if they were ever to leave their schools, they would need to find another competency-based school, as they are unwilling to go back to the traditional system. 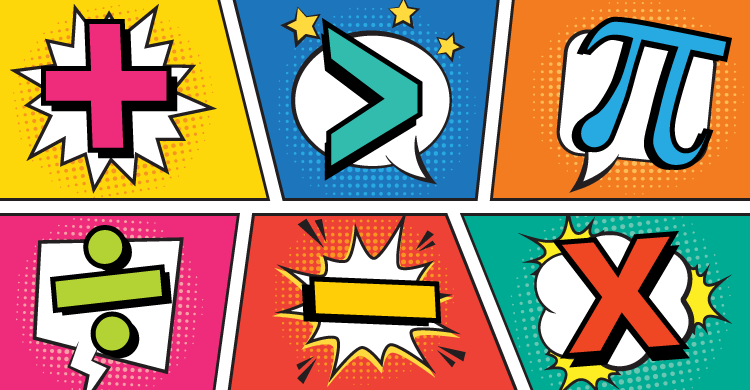 Teachers powerfully state that in the personalized, competency-based model, teaching is not “I taught it,” but rather, “They’ve got it.” Simply put, teaching becomes more humanized and less standardized. Across the country, teachers are tired, and the traditional system of education is leading to burnout. Teachers have one of the highest turnover rates among all the professional fields, and the stress is magnified every year. Thus, the relationship between academic optimism and student achievement represents a powerful force to be used in school reform. If schools are to effectively evolve into the future, teacher engagement is just as critical as student engagement as a measure of success. And if we have a model of schooling that more effectively meets the needs of both students and teachers, there is a moral imperative to change the way we do business for the betterment of all. Downey, J. A. (2008). “Recommendations for fostering educational resilience in the classroom.” Preventing School Failure, 53(1), 56–64. Goddard, R. D., Hoy, W. K., & Woolfolk Hoy, A. (2000). “Collective teacher efficacy: Its meaning, measure, and impact on student achievement.” American Educational Research Journal, 37(2), 479–508. doi: 10.3102/00028312037002479. Goddard, R. D. (2001). “Collective efficacy: A neglected construct in the study of schools and student achievement.” Journal of Educational Psychology, 93(3), 467–476. doi: 10.1037//0022-0663.93.3.467. Hoy, W. K., Tarter, C. J., & Woolfolk Hoy, A. (2006a). “Academic optimism of schools: A force for student achievement.” American Educational Research Journal, 43(3), 425–446. doi: 10.3102/00028312043003425. Hoy, W. K., Tarter, C. J., & Woolfolk Hoy, A. (2006b). “Academic optimism of schools: A second-order confirmatory factor analysis.” In W. K. Hoy & C. Miskel (eds. ), Contemporary issues in educational policy and school outcomes (pp. 135–157). Greenwich, CT: Information Age Publishing. Schenck, J. (2011). Teaching and the adolescent brain: An educator’s guide. New York: W. W. Norton & Company, Inc.